Does Anyone Know Anything About This Mauro Armellini? I purchased this massive Mauro Armellini over the weekend, at an antique store on Chincoteague Island in Virginia. I'm very pleased with the pipe. It smokes well and was worth every penny of the $35 I spent on it. Does anyone know anything about this particular shape? I haven't been able to find a similar one online. Thanks a lot! I have been reading this forum for years but haven't had occasion to post until today. Good pipe maker as far as I am concerned. I have been eyeing his pipes for years. Yeah I wasn't having much luck with the photos. I'll have to try imgur next time. Thanks! Mauro died several years ago. His daughter - Vilma - worked in the shop with him and is currently the force behind Armellini pipes. I have a Mauro Armellini Cavalier from the 1970s and it's a good smoker but it mostly sits on display. I sent photos of it to Vilma and she told me it was from the early to mid-1970s and was carved by her father. Thanks, pappy; I was going to tell him but saw you had. VERY happy to have you with us, Don! I'd recommend checking out their email & website if you want more info. At $35 I'd say you got one heck of a deal! I've got about half a dozen of Mauro's own make, plus 4-5 of the Tinder Box Verona line that he was responsible for. Every single one's a mahhhvy smoke. Vilma & her son Matteo run the business now & put out some very nice stuff. The company eras can be told apart by the stampings -- now it's just Armellini, previously Mauro Armeliini when the big guy was in charge. Thank you gentlemen. It's a great smoker and the price was right. Now my only problem is finding the two hours necessary for smoking that mammoth chunk of briar. My Mauro Armellini Cavalier - And yes, I sometimes use a softy bit. I used to have a large Mauro Armellini poker with that same finish that was an excellent smoker but I traded it off in a weak moment. Well worth 35 dollars in my humble opinion. 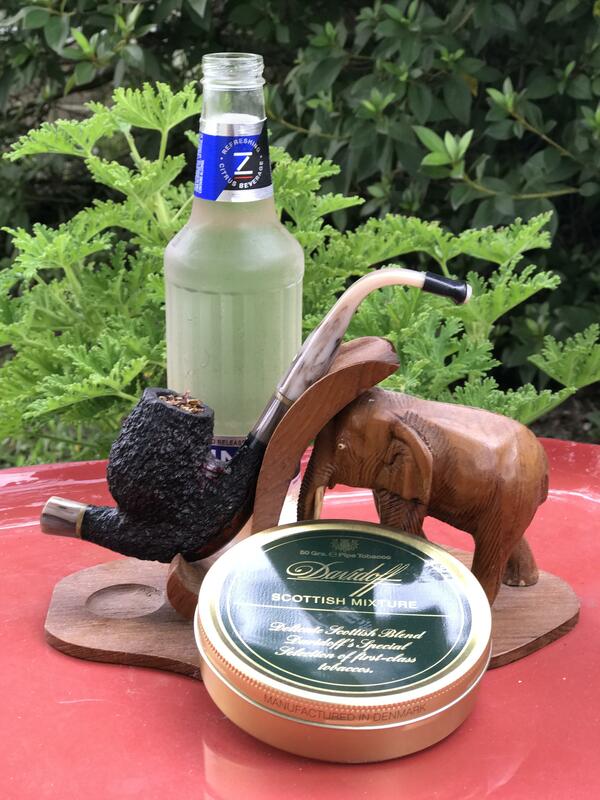 @pappymac- excellent looking pipe sir. 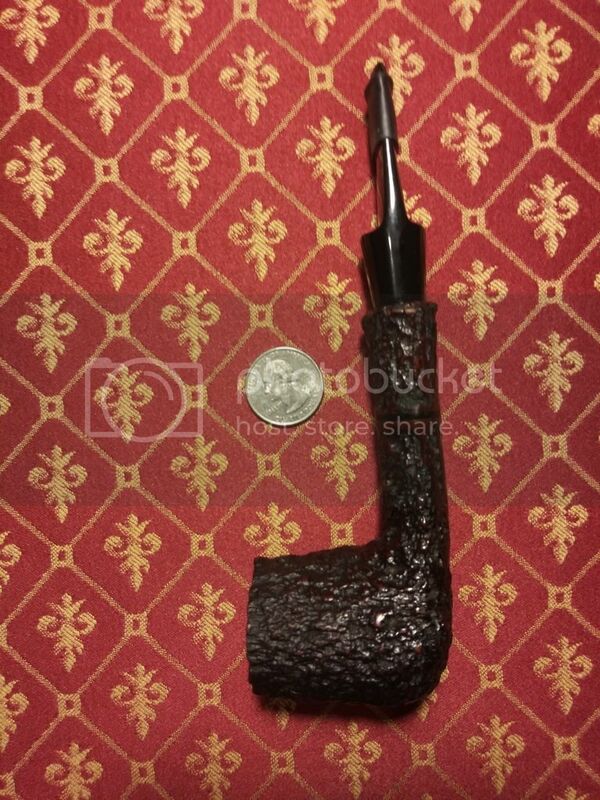 That's a beautiful pipe, Pappymac. And a very complimentary stand! Gary, so sorry for your loss.